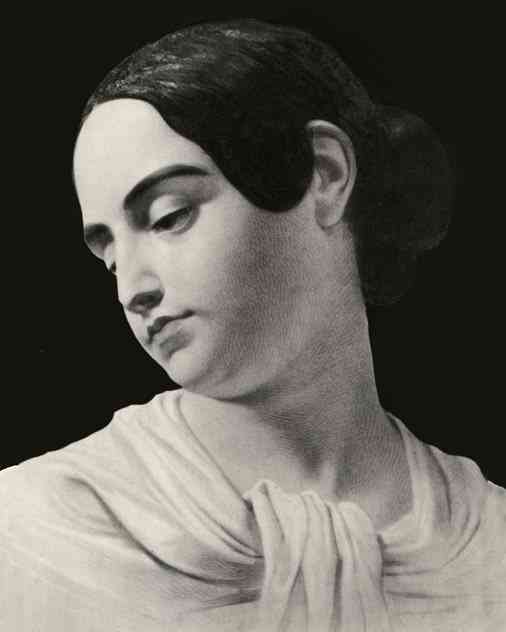 Poe scholars believe this is the only image of Poe's wife, Virginia Clemm Poe. It was painted, historians believe, immediately after her death—at the age of 24—in January of 1847. Oneline via the Edgar Allan Poe Society of Baltimore. Maria Clemm, sister of David Poe - Edgar's father - had a beautiful daughter named Virginia. For a time, Poe lived with his Aunt Maria and her family. Edgar and his young cousin, Virginia, became very close. Another cousin - Neilson Poe - began to suspect that Edgar might want to marry Virginia. He offered to provide a home, and an education, for the young girl who was then ... twelve years old. I am blinded with tears while writing this letter - I have no wish to live another hour. Amid sorrow, and the deepest anxiety your letter reached - and you well know how little I am able to bear up under the pressure of grief. My bitterest enemy would pity me could he now read my heart. My last my last my only hold on life is cruelly torn away - I have no desire to live and will not. But let my duty be done. I love, you know I love Virginia passionately devotedly. I cannot express in words the fervent devotion I feel towards my dear little cousin - my own darling. ... Adieu my dear aunty. I cannot advise you. Ask Virginia. Leave it to her. Let me have, under her own hand, a letter, bidding me good bye - forever - and I may die - my heart will break - but I will say no more. My love, my own sweetest Sissy, my darling little wifey, think well before you break the heart of your Cousin, Eddy. Although it wasn't unusual for first cousins to marry in the 19th century, the central issue with Poe and Virginia was her age. Despite all the concerns, however, Poe's Aunt Marie became his mother-in-law in May of 1836. Poe and Virginia's marriage bond survives. They signed it on the 16th of May, 1836, not long before their wedding day. If we study that document, which was signed under oath, we can tell it contains a lie. Virginia was not 21 years old at the time. Despite their age difference - Poe was 27, Virginia was 13 - the newlyweds were happy together. They lived with Virginia's mother - whom Poe now called "Muddy" - in various places, starting in Richmond (where Poe was working for the Southern Literary Messenger). Writing as a critic, however, did not satisfy Poe's need to write. His real love was creating his own works, not criticizing the works of others. Let's take a look at some of his literary achievements. Bos, Carole "POE FALLS in LOVE" AwesomeStories.com. May 01, 2012. Apr 20, 2019.